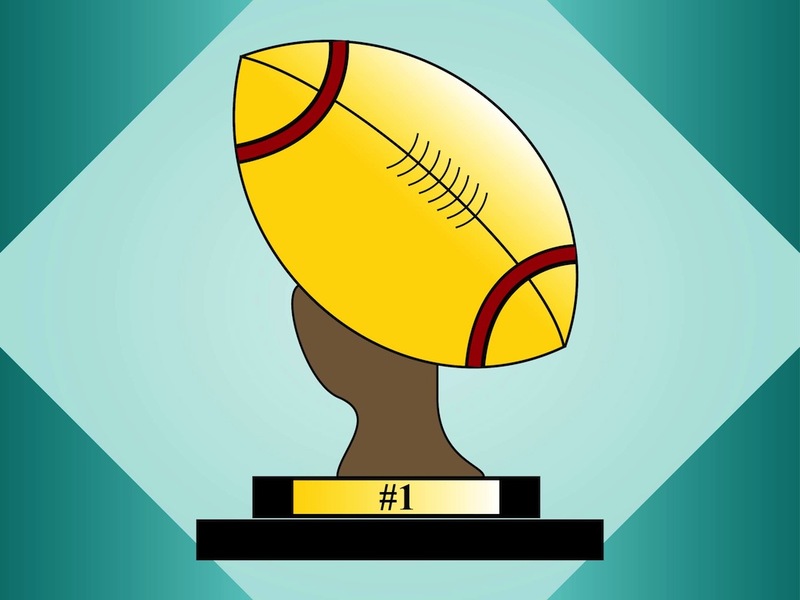 Sports vector graphics of an award statuette for achievements in American Football. Golden trophy shaped like the elongated ball used in the game. Golden plate on the stand of the statuette. Free vector illustration for all sport, games, American football, games, championship winners and awards projects. Tags: American Football, Award, Champion, Gold, Golden, Number One, Winner.